Pet obesity is on the rise. In fact, it has been climbing steadily since 2010. According to the Association for Pet Obesity Prevention, 56% of dogs and 60% of cats in the United States are overweight — that’s 106.7 million pets! And many pet owners don’t even know their furry companions need to lose weight. A variety of conditions can develop due to pet obesity, including heart disease, diabetes, osteoarthritis, and chronic renal disease. Many of these disorders are preventable, which is why it’s so important to keep your pet at a healthy weight. 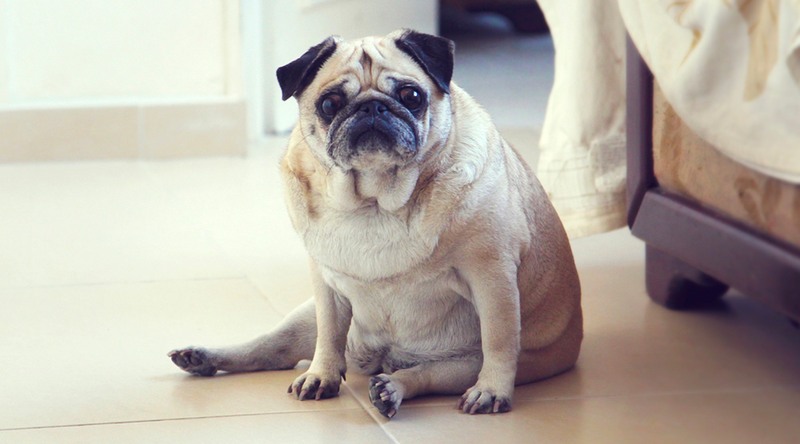 So how do you determine if your dog or cat is overweight? One method that will give you a basic idea is assessing your pet’s overall body condition. An obese pet will have extra fat around her midsection and neck. If you can’t feel any ribs, that means there’s too much fat and your pet is carrying excess weight. Also beware of a belly that hangs too close to the ground. That’s an indication of abdominal fat, the most dangerous kind. And if it takes your pet a lot of effort to go from a sitting to standing position, or she becomes out of breath when going for a walk, it could be due to excess weight. 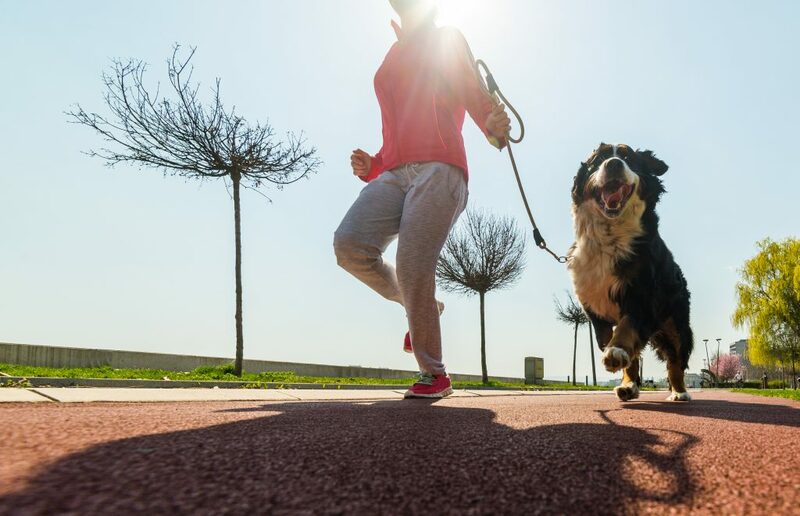 PetMD’s Healthy Weight Calculator allows you to input your pet’s breed, age, weight, and body condition to give you an idea of whether she’s at a healthy weight. Another assessment tool is the Body Condition Score. Developed by the World Small Animal Veterinary Association, this guide also helps determine if your pet is at an ideal weight. Based on a scale of 1 to 10, the handy chart shows you how to determine where your cat or dog falls on the spectrum. While tools like these can give you some guidance regarding your pet’s weight status, they’re not meant to substitute a veterinarian’s expertise. 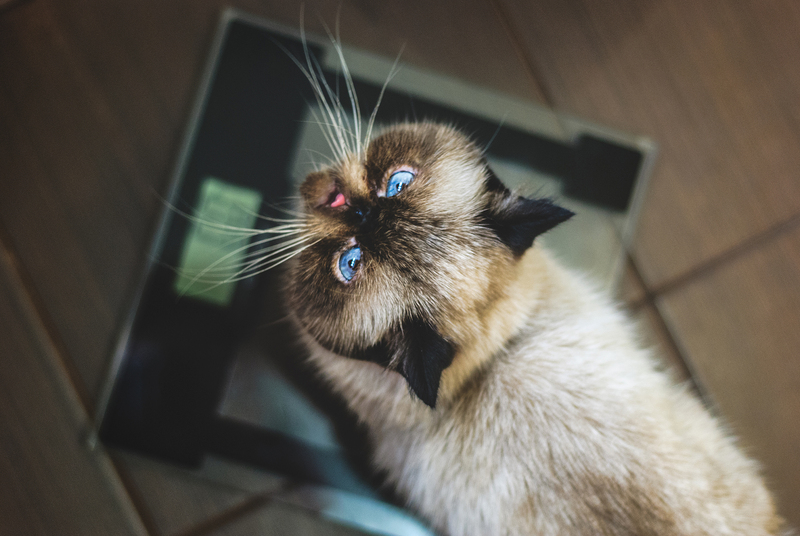 If you have concerns about your pet’s weight, be sure to find a vet who can provide you with information specific to your pet and recommend a nutrition plan. Your vet may use the Healthy Weight Protocol, a collaboration between Hill’s Pet Nutrition and the University of Tennessee. The program uses four to six measurements from your pet to determine body fat index. This info is compared to a chart, which allows your vet to tell you precisely how much your pet needs to lose or gain based on the results. Once you’ve talked to your veterinarian and determined if your pet needs to lose weight, it’s important to follow your vet’s recommendations. This could include cutting calories, portion control, increasing activity levels, or feeding her a therapeutic diet. Be sure to do regular weigh-ins so you can keep an eye on your pet’s progress until she reaches her ideal weight. 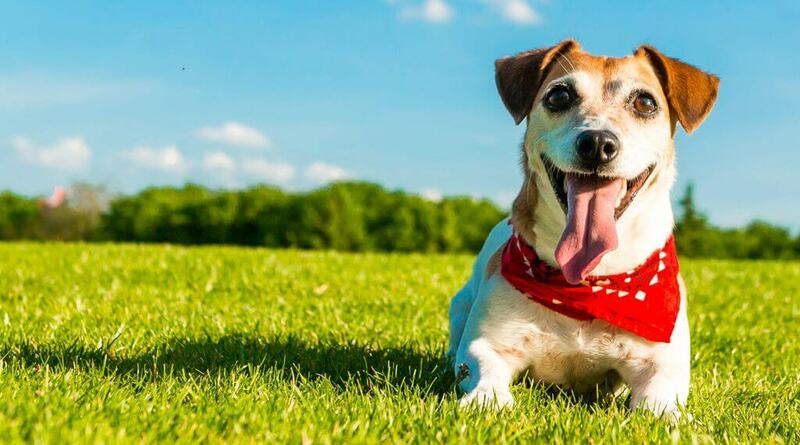 With proper nutrition and daily exercise, your pet can live a long, happy life.